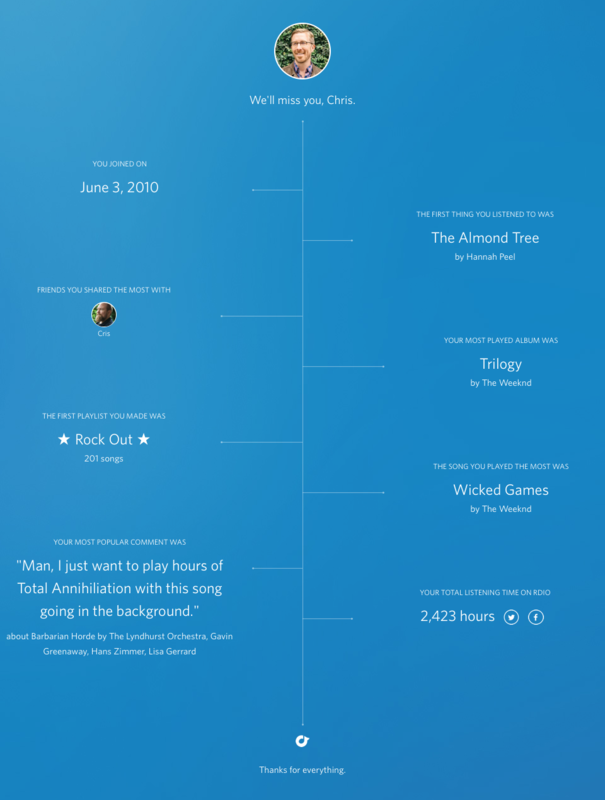 Would you recommend Rdio Farewell to a friend? For those of you who will miss big blue but haven't found our little community yet: http://rdioloversslackin.herokua... Passionate folks who can help you find your next favorite music app, your favorite new music, or just chat about the relative merits of albums vs. playlists. I miss Rdio already. I don't like Spotify's dark UI. And there is no social element to it. I want to find random music curators beyond my friends. @bennesvig And Spotify got rid of their third party apps that provided that type of curated experience. The biggest mistake they made IMHO.